As we approach the end of 2010 I can’t help but look back on the past year and all the adventures that were had and all the new people I met. It’s been quite the year! 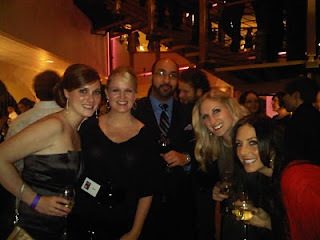 Back on March 13th, 2010 I decided to try my hand at blogging, and Sips & the City was born. What started as a way to document all the adventures I had been having at various wine events in Seattle has now turned into something more for me and for those people that follow my posts. I love sharing wines, wineries, and events with other people who, like me previously, used the internet as a learning tool when it came to these things. I thought 2010 deserved a re-cap post of all the amazing fun I’ve had along the way in developing Sips & the City. The month by month timeline is when the posts occurred, not necessarily when I attended the events. Enjoy! -My first post was about a Seattle wine bar that I had visited quite a few times during the first part of 2010. Sip Wine Bar is located downtown and offers great flights and food! -My very first Woodinville tasting day was along with my friend Barb, aka @Seattlewinegal. We hit up quite a few places and had a great meal at day’s end! 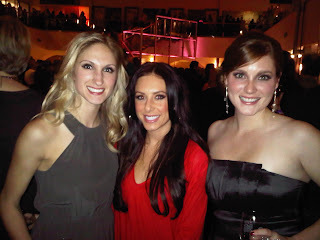 -My first major tasting event was Bags & Bottles, held at the Westin. This annual event combined two of my favorite things: wine and handbags. It was at this event that I met Annie (@BlackPearlSEA), who has since become an amazing friend. -With the best view in Seattle (seriously, you are higher than the Space Needle), the Columbia Tower Club can’t be beat. 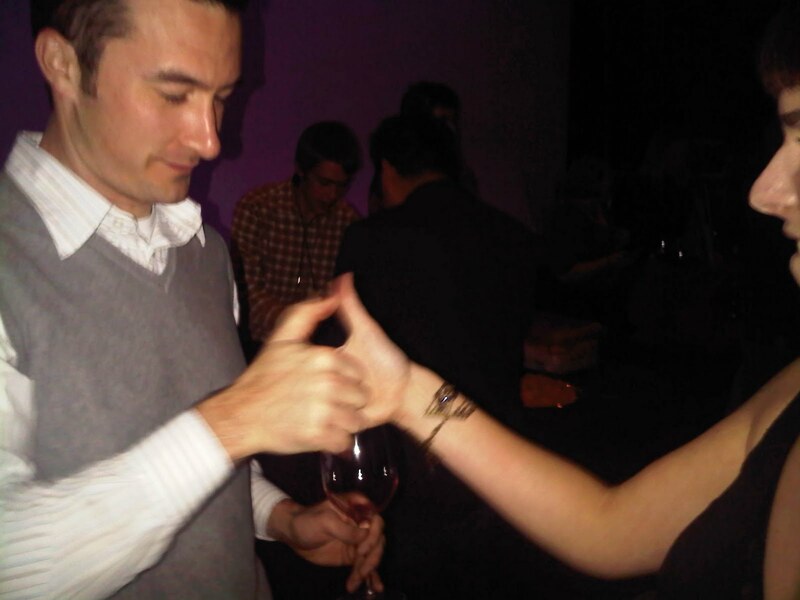 My first tasting at the club was with my friend Jen (@jenkmiller), where we sampled a wide variety of Washington wines. This was also my first exposure to Guardian Cellars, now a huge favorite of mine. -My first April post documented an event from late March, the Washington Merlot tweet-up. This event was held at Seattle Wine Outlet and was the first time I met another friend I have acquired this year, Joanna (@jojolocal). -I did an entire post on Barrage Cellars, which has become another favorite of mine. I took a bottle of the 2007 Outcast Cab Franc to Utah with me and tasted it with some friends! It was a hit. -On tax day in April, I had my first experience at Black Pearl, the restaurant where Annie (@BlackPearlSEA) runs the show. 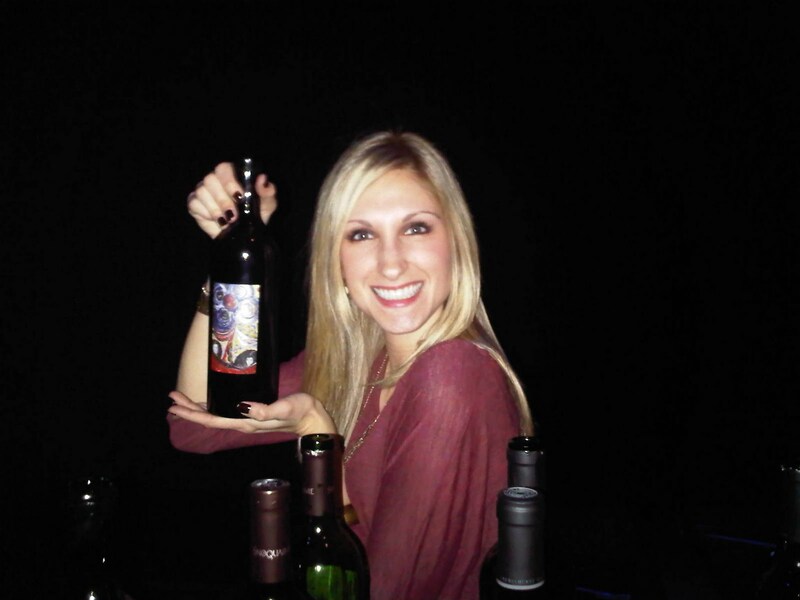 Annie, along with others, hosted a tweet-up that contained food from Black Pearl and wines from several wineries and shops. -My second winemaker’s dinner was held at what is now one of my favorite restaurants: Russell’s in Bothell. Sojen Cellars teamed up with Russell’s to offer an amazing meal paired with fantastic wines! My friend Cheryl (@DivaTink) and I had a great time at this dinner. -Another great tasting I attended was at Il Fornaio, located in Pacific Place. This was another food and wine paired event, and was absolutely delicious! -As a special treat for my mom the Friday before mother’s day, we attended the Friday Wine & Dine Tour that is a partnership between Butler Transportation and Russell’s Restaurant. What a fun afternoon! -In late May, we headed east for my best friend’s bridal shower in the Tri-Cities. As part of this, we visited several area wineries also. It was a fun wine-filled two days! -Memorial Day Weekend took me to Lake Chelan, and found me visiting several of the newest Washington AVA’s many wineries. This was another two-day adventure that had me packing lots of wine back across the mountains! 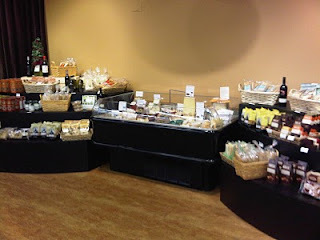 -I did a post about a great wine bar and shop called Greenlake Wines. Their Thursday tastings are still going strong, check them out! -On a beautiful day in July, my friend Caity and I headed to Woodinville for another fun tasting day. It was a hot day with great wines, and great food to cap it off! 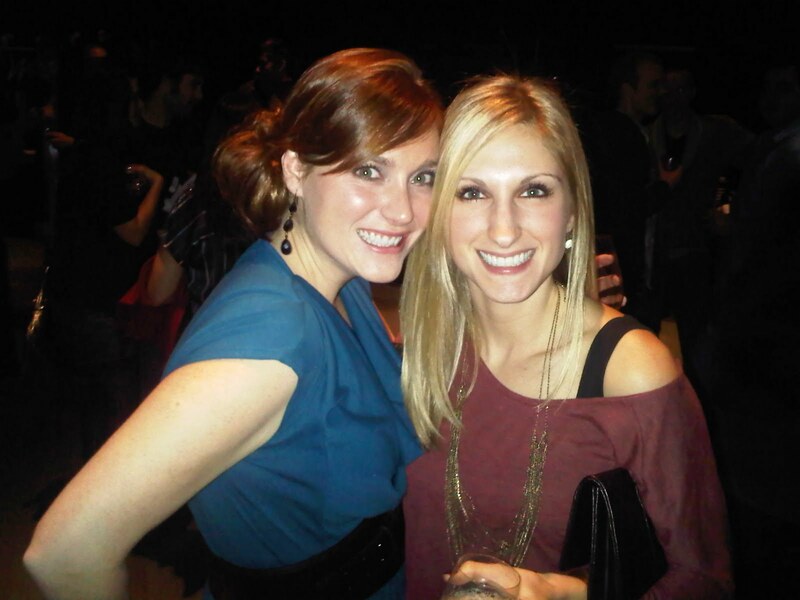 -On 9/2/10, I woke up feeling creative and “Twas the Day of Cabernet” came spilling forth. This was the worldwide “Cabernet Day” and I felt like it deserved some love. -I did a preview post about an upcoming event called the Grape Cup which included my top 10 list on why people should attend the event. -I re-capped my “Cabernet Day” fun, which was held at Bin 41, a wine shop in West Seattle. -I re-capped BLEND, a seminar and tasting event held at Bell Harbor Convention Center in Seattle. The blending seminar was my favorite part! 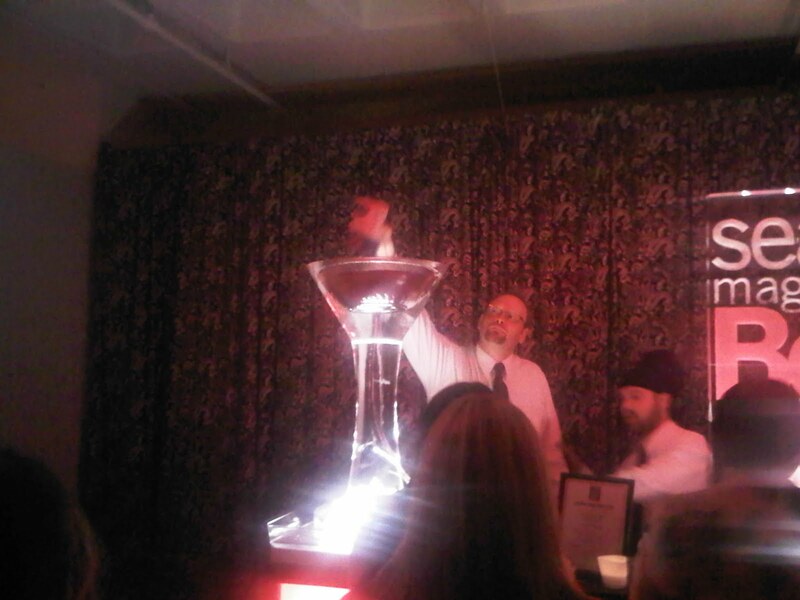 -I also re-capped the Grape Cup, and the winners of the judging between WSU and UW wines. Cougs reign supreme once again! 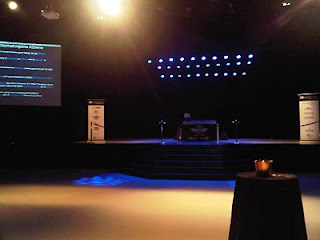 -I attended an AMAZING preview event for the Taste of Tulalip, held at the Tulalip Resort. So...much...food… I loved it. 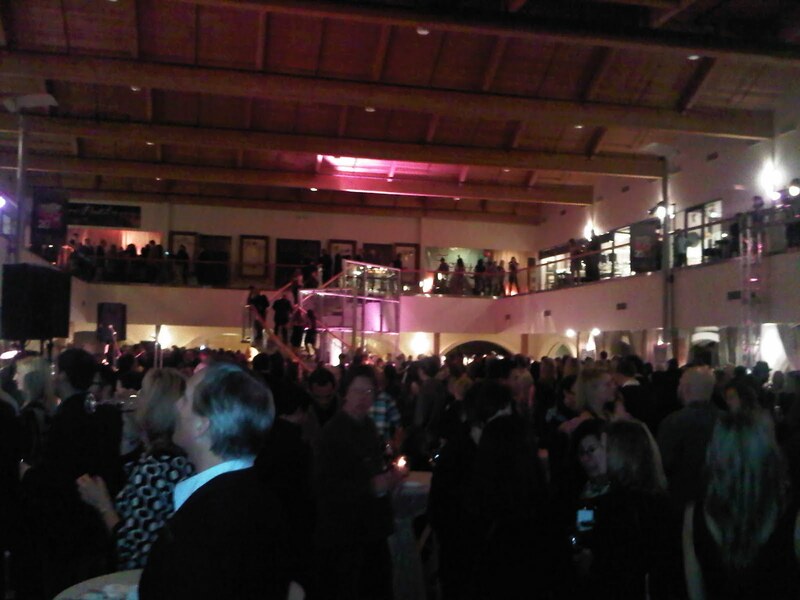 -Another preview event I attended was for 20something, an annual wine event, this year held at the Fremont Studios. We got a great sneak peak at several wines being poured at the event along with delicious food from Seatown Seabar & Rotisserie. -The Taste of Tulalip definitely lived up to and exceeded expectations as a one of a kind wine event. I can’t wait for next year! -I had the opportunity to attend a tasting of Bordeaux wines at Esquin, located in the SoDo area of Seattle. What a treat those wines were! 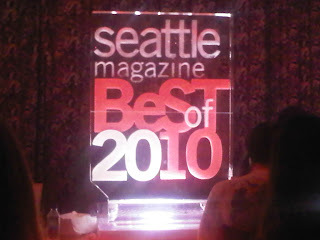 -The Seattle Magazine “Best of 2010” Party was out of this world. It was truly the “Party of the Decade”. 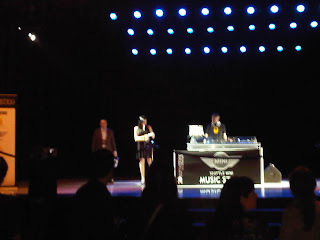 -I re-capped the 20something event, which was trendy, had great wine, and event had a dance-off! 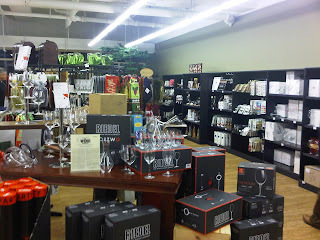 -I did post on Seattle’s newest wine superstore, Wine World Warehouse. This is one you need to check out for their daily tastings and amazing wine selection. Well, there we have it! It’s hard to believe I did so much during 2010, but I am so thankful for each opportunity that I had to attend such amazing events this year. I have learned SO MUCH in less than a year, it’s pretty unbelievable. I have also met some pretty spectacular new people, who I look forward to future adventures with. What’s in store for 2011? Well, I have a new job; one that will no doubt take up a lot more of my time. I’ll still be hitting the wine scene as best I can though, and look forward to attending the 2011 “vintages” of the events I attended in 2010. Until then, cheers and Happy New Year! Where in the world is Wine World? Well you’re sure not to miss it if you happen to be driving on I-5 north. With a big red sign that you can see from the Ship Canal bridge, Wine World Warehouse (@WineWorldSEA), Seattle’s newest and largest wine store, sits right off the freeway at NE 45th St, right near the University of Washington campus. 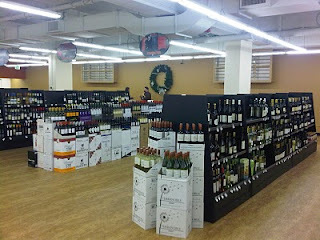 A lot of hype surrounded the opening of this new superstore, which was founded by Northwest Sommelier David LeClaire. The store claims to have the “largest selection of Northwest wine in the world”, and boy do I believe it. In just a few visits to the store, I saw several Northwest wines that I had not seen on shelves at any other stores in the area. The massive store has several unique features that sets it apart as one of a kind and poises it to become the next big thing in wine retail in Seattle. 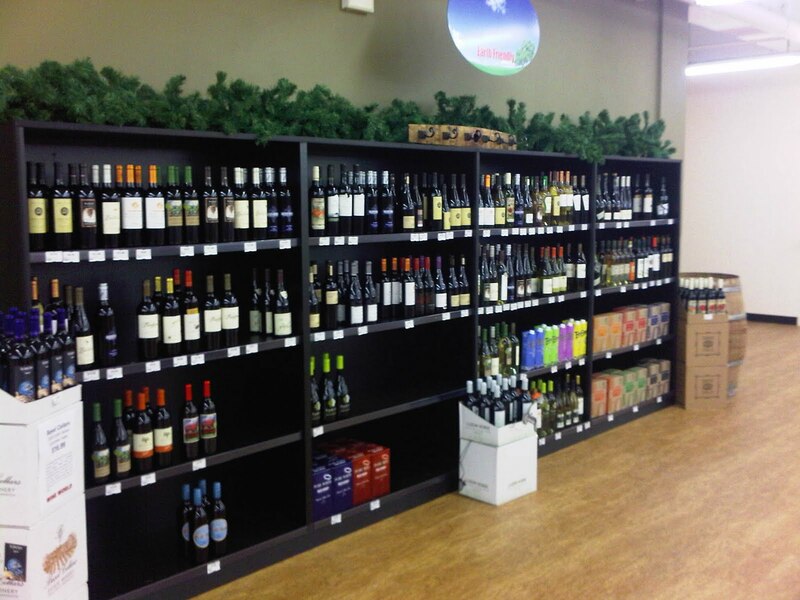 You enter the store to an open floor plan where you immediately find the before mentioned display of Northwest wine. To your immediate right is a nice selection of cheeses, crackers, and meats, all sure to accompany any wine quite well. 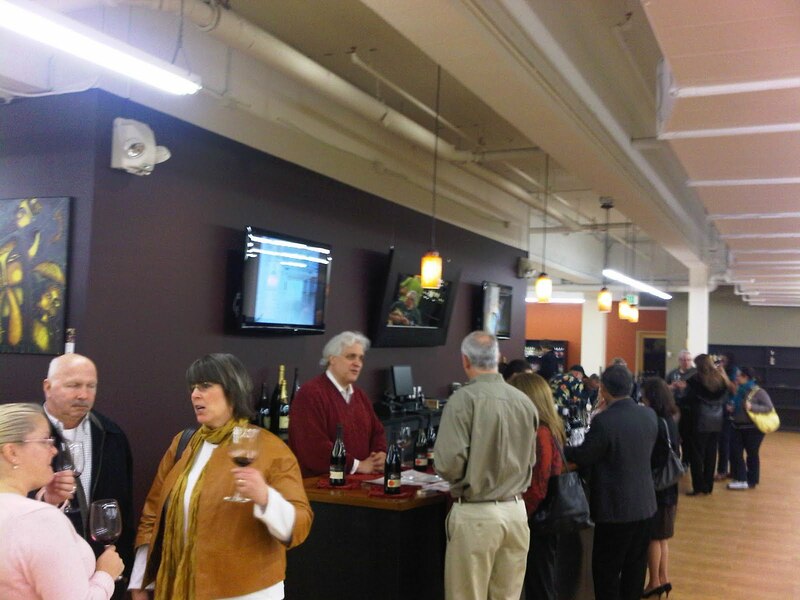 Walking forward a bit more, you can belly up to one side of the large tasting bar in the center of the store. This bar has the ability to host TEN (yes I said ten) different wineries or distributors at a time for tastings. The bar is split into two different bars, each facing a different side of the store. On the wall behind each bar are large flat screen TVs where information about the wineries pouring that day can be displayed. One of those unique features I mentioned about Wine World is that it will offer tastings every day of the week. On any random Tuesday you are likely able to walk in on your way home from work and taste wine before picking up a bottle to enjoy that same evening. Check out the calendar to see who will be pouring on upcoming days. These happen 6-8pm Monday through Friday, and 2-5pm on Saturdays and Sundays (unless otherwise noted). To the right of the tasting bar is an area containing a pretty big selection of wine related gift items such as glasses, decanters, bottle stoppers, glass charms, and books. It was so great to see so many great gift items in this area on my first visit and I came back in a week later to get some Christmas shopping done for family and friends! On the opposite side of the store on the other side of the tasting bar is something you wouldn’t necessarily expect to find in a wine store: beer. An entire wall is dedicated to a wide selection of different beers from around the world. 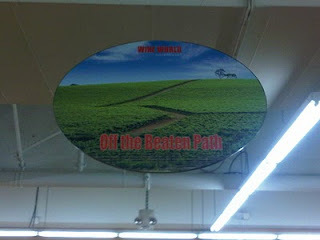 Wines from different regions of the world make up the rest of the store, each labeled with signs that hang overhead. Most interesting to see was the “Off the Beaten Path” section, with wines from areas you wouldn’t normally associate with wine, including Greece and Japan. Another note worthy area contained “Earth Friendly” wines, such as NSA (no sulfites added) and other “organic” wines. It’s quite apparent that this store is really trying to cater to every audience that might walk through the doors. The thing that sets this retail store apart from others in the area is the private event space that sits off the side of the store area. This room has large windows that offer city views and can host events for up to 150 people. It’s a perfect sized space for private corporate events, birthday parties, or any other special occasion that might call for an awesome space with a quick source of wine next door! 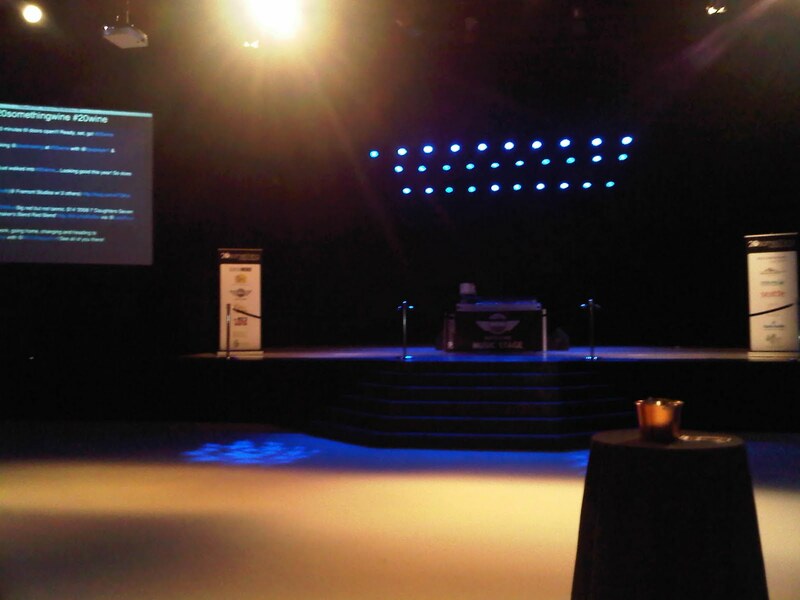 I look forward to attending future events in this space! 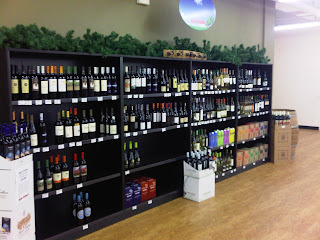 Overall, I was pretty impressed with this new wine store. It offers a great selection of wines, hosts daily tastings of some of the area’s best wineries (many of which may not have tasting rooms in the area), has an impressive choice of wine related gift items, and has one thing that those “city” stores don’t necessarily have: parking. 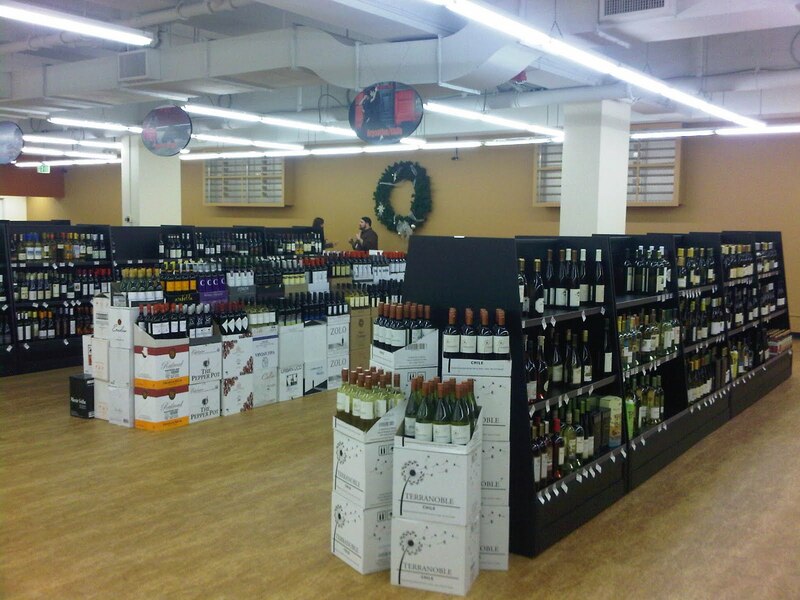 The store has its own private lot that makes it easy to stop in and out quickly to grab the next perfect bottle. Look for the enormous red sign on the side of the building and stop in today! Last month I attended the highly anticipated 20something – the new vintage (@20somethingwine), held at the Fremont Studios. As I previewed a few weeks prior to the event, the event is geared toward the “20 something” wine drinker, an age group that often doesn’t know much more about wine than the fact that they like to drink it. This year’s 20something event sold out in the days leading up to it, and the place was filled from wall to wall with eager wine tasters. As you entered (from the bitter cold, that was a rough weekend), you walked down a long hallway to receive your glass, your first taste, and to get photos on the red carpet with the one and only Seattle Wine Gal (@SeattleWineGal), Barbara Evans. 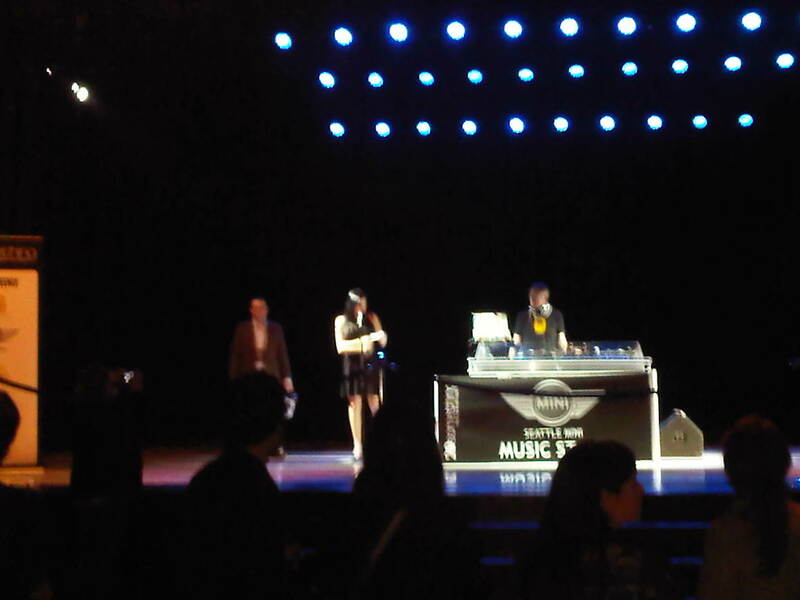 Here you were also able to enter to win some amazing prizes that were given away throughout the evening by SWG up on stage. My favorite of the prizes (which I did NOT win, bummer!) was a wine weekend getaway courtesy of Seattle MINI. This involved winning the use of a MINI for the weekend to take a road trip to eastern WA wine country for a stay at Desert Wind Winery (@desertwindwine) and dinner for two at Picazo 7Seventeen (@Picazo717). What a great little weekend, maybe I’ll have to head over there for a weekend like that, just at my own expense instead of as a prize! My favorite thing from this event was the “Geek Lounge”, which I had talked about in detail in my preview post. It was a lot of fun to taste several Merlots side by side at the Merlot Bar and to try a few different whites at a bar dedicated to that also. Another favorite aspect of this room was the food and wine pairings available. The Waterfront Seafood Grill (Waterfront70) cooked up pan-seared Columbia River King Salmon with Beluga lentils, smoked bacon, sherry vinegar and red onion jam. This was paired along with Sparkman Cellars’ (SparkmanCellars) 2009 Lumière Chardonnay, which was an excellent pairing. I may or may not have gone back for seconds on that salmon! Yum! Some other highlights of the evening: @clivity and @jojolocal thumb wrestling for the last piece of the AMAZING shrimp that @chefmagana prepared for us; Greg Smallwood of Laurelhurst Cellars’ (@LaurelhurtWine) quote about being “wine blocked” by his business partner (“it’s ok as long as our pour spouts don’t touch!”); and @Seattlewinegal’s impromptu dance-off competition up on stage amongst 20something attendees. All in all it was a pretty entertaining night! I would say that the only thing I wasn’t so keen on at this event was the fact that I just couldn’t fine some of the wine I wanted to try. While I really like the idea of the winemakers intermingled with the crowd for more one-on-one interaction, this left them all over the place throughout the whole night with no set base to find them at. I saw several multiple times and some not at all. There were a few wines that I was looking forward to trying at the event, but I was never able to find them amongst the crowds. Maybe a future idea would be a hybrid of walking around in the crowd but in a “zone” area, so you know that you’ll always find certain wineries in certain zones? That would have made it much easier to find some of those wineries I had been excited to try out at 20something. The after-party for the event took us around the corner to LTD Bar & Grill for some post-wine PBR’s (if you’re gonna switch it up, switch it up BIG), and an intense game of Big Buck Hunter between @erindrinkswine and myself. She won. I need to work on my video game hunting skills apparently. Overall, 20something was a huge success for the 5th year in a row. I look forward to next year and the fun new ideas that the Washington Wine Commission (@WineCommission) will bring to the event! Have you ever partied with 1,700 of your closest friends? I have. Well, take out the fact that they were all my friends (I didn’t know them, perhaps they would like to be my friends? ), and Seattle Magazine’s Best of 2010 “Party of the Decade” was just that. A jam packed, glamorous, glitzy, 1,700 person party. It was truly quite the experience. Of course, I had to have the perfect dress, the perfect shoes and the perfect hair, so I consulted my local Nordstrom for the perfect little black dress (seriously, it was GORGEOUS) and the most amazing sparkly shoes. The outfit was topped off by an updo from the fabulous Swink Style Bar (@swinkstylebar) and I was ready for the purple carpet (yes, not red, purple. This party was much too cool for the standard red carpet). I attended with two of my girl friends, and after we had our van cab pull over far away from the front door, we strutted up in style, ready for our photo ops. Unfortunately, it was colder than snot outside and we settled for a quick group shot (them with their coats on, me without. I mean c’mon, the DRESS) and shuffled quickly in the front door. We were immediately provided tasting glasses, raffle tickets, drink tickets (for drinks from the “Decade Lounge” upstairs), and a pour of some delicious Nicolas Feuillatte champagne and off we wandered into the party. The main floor had several wineries and food booths, as well as the “main stage” for some of the musical acts that performed throughout the evening. This area featured wines from some of my favorite wineries, including Barrage Cellars (@barragecellars) (pouring their very tasty 2009 Riesling), Kiona Vineyards & Winery (@KionaWine) (where I sipped on the AMAZING 2006 Lemberger. Have you tried this? Do it. Now. ), and O Wines (@owines) (their 2007 Red Wine has aged beautifully since it was released back in February of this year). My favorite foods from this room included the Il Fornaio pesto gnocchi, and Capital Grille’s wagyu beef. We trekked up some stairs (never easy in heels) and wandered into the Taste of Tulalip Retro Game Room. In this room they had more tasty treats from the Tulalip Resort (which I lunged for immediately. You saw my notes on the food from the Taste of Tulalip preview and event), as well as skee-ball, pool tables, and foosball! Down farther from this room was the Tulalip Wine Tasting table, where resort sommelier Tommy Thompson was pouring my FAVORITE from the Taste of Tulalip, the 2005 Corliss Estates Cabernet Franc. I was so delighted to be able to sip on this wine again. Adjacent to the Tulalip table was the Team Photogenic SEEN lounge, where at a point later in the evening, my friends and I were interviewed by Count Kody about our wine blogs! Look for my segment when it’s finally edited and posted, I talk all about this wonderful (well, at least I like to think so) blog in it! Much like the Energizer Bunny, this party kept going and going and going. We were shocked to discover that you could keep walking across a window enclosed walk-way (where snacks from Tom Douglas restaurants (@TomDouglasCo) were featured) and into a completely different room that contained another stage and additional wineries and food stations. In this room I was able to try the Buty Winery Semillon/Sauvignon Blanc/Muscadelle, which was quite lovely. I’m not kidding, the party went even farther with a trip up MORE stairs to a third level, which contained the “Decade Lounge”. This area had music and dancing, as well as a bar with ice sculptures and what appeared to be some sort of cosmopolitan luge (sign me UP). We stood in line for our tasty cosmo’s (which we then put in our wine glasses. That didn’t look weird or anything) and ventured around the top floor a bit more. I was simply amazed at the sheer magnitude of this party, both in size and complexity. There was quite literally something here to appease any appetite or taste. While my feet were hating life at the end of the night (I did not expect that much walking INSIDE a party), I left there feeling like I had attended one of Seattle’s most well put together and glamorous parties in history. With every party comes one that’s even greater following, so I can’t wait to see what they have in store for the next!